The Meizu PRO 5 launched in September and had monster specs now half a year later the Meizu PRO 6 launches and it's... smaller? Yep, Number 6 comes with a 5.2" screen. As expected it's a Super AMOLED with 1080p resolution, but the size took us by surprise as the PRO 6 was 5.7" and even the MX5 was 5.5". The "killer feature" of the new screen is 3D Press, Meizu's alternative to 3D Touch. In fact, it seems that Apple was the motivation behind going smaller - the iPhone SE did it. Curved Gorilla Glass 3 protects the screen. The Meizu PRO 5 is powered by MediaTek Helio X25 chipset - the 10-core processor and Mali-T880 GPU have been overclocked from the X20. You get 4GB of RAM too (so much for the rumored 6GB). The company positioned the camera as the big draw. It has an interesting 10-LED dual-tone flash arranged in a circle (but this is not a ring flash, mind you). The sensor has 21.1MP resolution and measures 1/2.4". The camera also boasts Laser and phase-detection AF. Flash aside, the camera is essentially a match for what the PRO 5 packed. And the battery seems quite small at 2,560mAh, but at least it charges fast with the 24W mCharge 3.0. The Meizu PRO 6 will be available on April 23 for CNY 2,500 ($385/€340) for the 32GB option and CNY 2,800 ($430/€380) for the 64GB option. 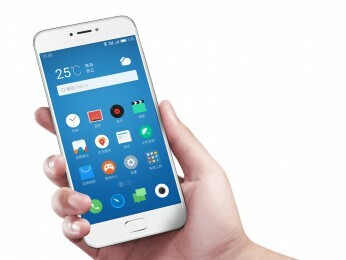 Meizu may be looking at a tough sell as both the MX5 and PRO 5 have very similar features. That said the PRO 5 is actually more expensive than the PRO 6.
why they choose the name 'PRO 6' for a midranger? ?